JUET Admit Card 2018: Those candidates, who have successfully submitted JUET application form between 16-05-2018 to 31-05-2018, are hereby informed that JUET Admit Card is available on official website of Jammu University. So, applied candidates can download from here. Yes, for the easiness of candidates we have provided direct link to download JUET Exam Admit Card on this page. Aspirants who have applied for Jammu University Entrance Test conducted by University of Jammu can download their JUET Admit Card 2018 from this page to appear in exam. JUET Entrance Exam Date 10 June 2018!!! University of Jammu has decided that Jammu University Entrance Test will be held on 10-06-2018. JUET 2018 is a qualifying entrance exam and conducted by Jammu University for admission to Post Graduate Degree (PG), PG Diploma and Under Graduate Programs. Visit the official website of University of Jammu Entrance Test that is www.juet.in to get JUET Exam Hall Ticket. Now you need to move your cursor to “Applicant Login” tab visible in the right side of the homepage. 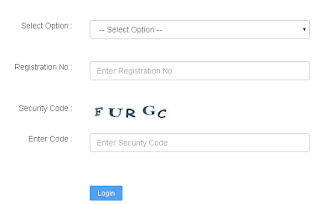 Within few seconds JUET Admit Card login page will be opened asking some details as shown in below given image. Check all the details printed on JUET Hall Ticket. Download JUET Hall Ticket 2018 and take hard copy of JUET Admit Card for further usage. Candidates can go through this Official Link to grab rest details of JUET Admit Card 2018 – 19. Subscribe to our free mail services to get instant mails in your mail box regarding recruitment, result, admit card, syllabus, etc.